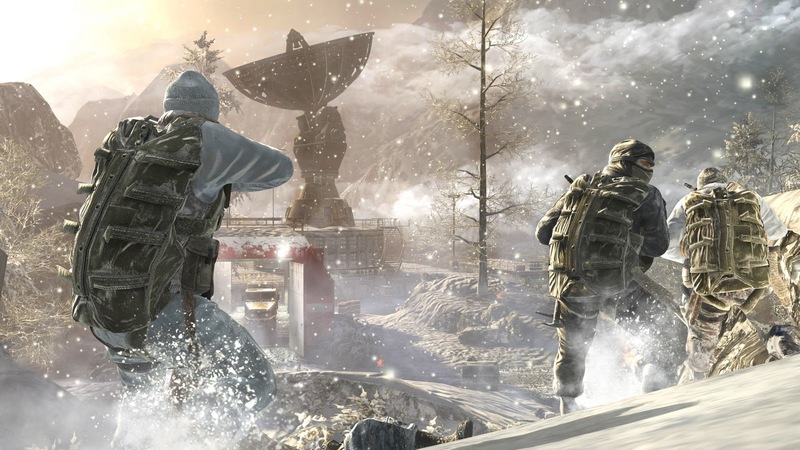 Call of Duty: Black Ops had the unenviable task of following up the biggest CoD ever- Modern Warfare 2. This was a game that is still played by millions religiously and was basically the swan-song for fan favorite CoD developer, Infinity Ward (which has since fallen out with publisher Activision and whose current state is up in the air). Development for this new Call was done by Treyarch, a house who has been maligned and put down by the series faithful. Their CoD games are just flat out not as good as IW's. At least that was the conventional thought, but does it still hold true? No. Not by a long shot. I had a tremendous time with Black Ops, from start to finish. Lets talk about the storyline first and foremost because, in my opinion, it's the best of the series. Without giving anything away, the whole thing centers on the Cold War between the United States and Soviet Russia- in particular it's about a special forces agent named Alex Mason (who's voiced by Sam Worthington BTW- you do play as others as well but Mason is the MC). BO globe trots a bit- visiting Cuba, 'Nam, and Russia through the course of the game -and by the end, everything ties together in a nice little package. Complete with some very interesting hints about possible future games in this new branch of the CoD tree. I really can't say too much more here without giving away major plot points that would absolutely wreck the game for you if you want to be surprised at all. I will add that there really aren't any of the over the top, silly, Michael Bay-esque scenes that MW2 had in droves- don't worry, there's plenty of impactful stuff here, just nothing that... explosive? Even though I won't say anything about the story other than 'it's great', there's plenty I can say about the technical aspects of the game. First up (or is that second up?) the graphics are excellent. Some of the best in the history of what have become some very good looking games. From jungle, to urban, to the snow covered arctic- BO shines. The locals aren't too shabby either- characters look authentic and are nicely detailed. Certain world leaders that appear through the game's events look amazingly accurate as well. And they sound great too. The sound work across the entire game is very well done- ambient effects and vocals both. In fact there are quite a few big time voices in the world of Black Ops. The aforementioned Sam Worthington is joined by Gary Oldman, Ice Cube, Ed Harris, and others. It's never in your face at all and the cast comes off amazingly well and actually adds a good deal to the experience. So I guess you can tell that I really liked Black Ops. In truth, the only thing that I felt was lacking was the length of play time in the single player campaign. Although, I don't know if that's just nitpicking here, if it was much longer it probably would've felt intentionally drawn out. As far as the multiplayer goes, it's fun- and it's definitely CoD. I think everybody who reads this site on a regular basis knows that I'm not a multi guy at all but as far as fragging online goes, this is just as much fun as past entry's. Bottom line, Call of Duty: Black Ops is an excellent game that kicks the franchise up a few notches and softens the blow of losing star developer Infinity Ward. Good job Treyarch. Great game.